1. ONE, THIS EXPERIENCE MAY DAWN BETWEEN TWO BREATHS. AFTER BREATH COMES IN (DOWN) AND JUST BEFORE TURNING UP (OUT) – THE BENEFICENCE. After breath comes in – that is, down – and just before turning out – that is, going up – THE BENEFICENCE. Be aware between these two points, and the happening. When your breath comes in, observe. For a single moment, or a thousandth part of a moment, there is no breathing – before it turns up, before it turns outward. One breath comes in; then there is a certain point and breathing stops. Then the breathing goes out. When the breath goes out, then again for a single moment, or a part of a moment, breathing stops. Then breathing comes in. Before the breath is turning in or turning out, there is a moment when you are not breathing. In that moment the happening is possible, because when you are not breathing you are not in the world. Understand this: when you are not breathing you are dead; you ARE still, but dead. But the moment is of such a short duration that you never observe it. For tantra, each outgoing breath is a death and each new breath is a rebirth. Breath coming in is rebirth; breath going out is death. The outgoing breath is synonymous with death; the incoming breath is synonymous with life. So with each breath you are dying and being reborn. The gap between the two is of a very short duration, but keen, sincere observation and attention will make you feel the gap. If you can feel the gap, Shiva says, THE BENEFICENCE. Then nothing else is needed. You are blessed, you have known; the thing has happened. You are not to train the breath. Leave it just as it is. Why such a simple technique? It looks so simple. Such a simple technique to know the truth? To know the truth means to know that which is neither born nor dies, to know that eternal element which is always. You can know the breath going out, you can know the breath coming in, but you never know the gap between the two. Try it. Suddenly you will get the point – and you can get it; it is already there. Nothing is to be added to you or to your structure, it is already there. Everything is already there except a certain awareness. So how to do this? 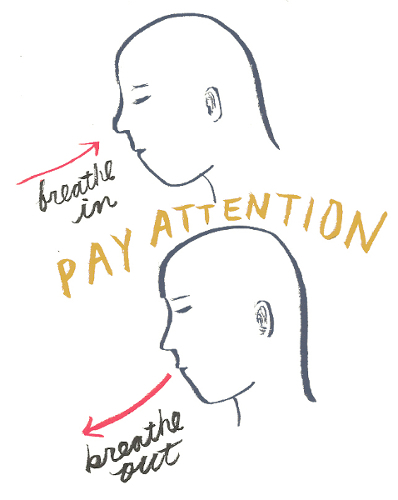 First, become aware of the breath coming in. Watch it. Forget everything, just watch breath coming in – the very passage. When the breath touches your nostrils, feel it there. Then let the breath move in. Move with the breath fully consciously. When you are going down, down, down with the breath, do not miss the breath. Do not go ahead and do not follow behind, just go with it. Remember this: do not go ahead, do not follow it like a shadow; be simultaneous with it. Breath and consciousness should become one. The breath goes in – you go in. Only then will it be possible to get the point which is between two breaths. It will not be easy. Move in with the breath, then move out with the breath: in-out, in-out. Buddha tried particularly to use this method, so this method has become a Buddhist method. In Buddhist terminology it is known as Anapanasati Yoga. And Buddha’s enlightenment was based on this technique – only this. All the religions of the world, all the seers of the world, have reached through some technique or other, and all those techniques will be in these one hundred and twelve techniques. This first one is a Buddhist technique. It has become known in the world as a Buddhist technique because Buddha attained his enlightenment through this technique. Buddha said, ”Be aware of your breath as it is coming in, going out – coming in, going out.” He never mentions the gap because there is no need. Buddha thought and felt that if you become concerned with the gap, the gap between two breaths, that concern may disturb your awareness. So he simply said, ”Be aware. When the breath is going in move with it, and when the breath is going out move with it. Do simply this: going in, going out, with the breath.” He never says anything about the latter part of the technique. The reason is that Buddha was talking with very ordinary men, and even that might create a desire to attain the interval. That desire to attain the interval will become a barrier to awareness, because if you are desiring to get to the interval you will move ahead. Breath will be coming in, and you will move ahead because you are interested in the gap which is going to be in the future. Buddha never mentions it, so Buddha’s technique is just half. But the other half follows automatically. If you go on practicing breath consciousness, breath awareness, suddenly, one day, without knowing, you will come to the interval. Because as your awareness will become keen and deep and intense, as your awareness will become bracketed – the whole world is bracketed out; only your breath coming in or going out is your world, the whole arena for your consciousness – suddenly you are bound to feel the gap in which there is no breath. When you are moving with breath minutely, when there is no breath, how can you remain unaware? You will suddenly become aware that there is no breath, and the moment will come when you will feel that the breath is neither going out nor coming in. The breath has stopped completely. In that stopping, THE BENEFICENCE. This one technique is enough for millions. The whole of Asia tried and lived with this technique for centuries. Tibet, China, Japan, Burma, Thailand, Ceylon – the whole of Asia except India has tried this technique. Only one technique and thousands and thousands have attained enlightenment through it. And this is only the first technique. But unfortunately, because the technique became associated with Buddha’s name, Hindus have been trying to avoid it. Because it became more and more known as a Buddhist method, Hindus have completely forgotten it. And not only that, they have also tried to avoid it for another reason. Because this technique is the first technique mentioned by Shiva, many Buddhists have claimed that this book, VIGYANA BHAIRAVA TANTRA, is a Buddhist book, not a Hindu book. It is neither Hindu nor Buddhist – a technique is just a technique. Buddha used it, but it was there already to be used. Buddha became a buddha, an enlightened one, because of the technique. The technique preceded Buddha; the technique was already there. Try it. It is one of the most simple techniques – simple compared to other techniques; I am not saying simple for you. Other techniques will be more difficult. That is why it is mentioned as the first technique.